Piter Abi Unes is the owner of a winery "Chateau Wadih" in the mountainous part of Lebanon. He is a pioneer in launching the production of blue wine. In an interview with Sputnik, Unes explained the secret behind this unique product. The Lebanese wine market is currently in competition with many foreign imported wines. 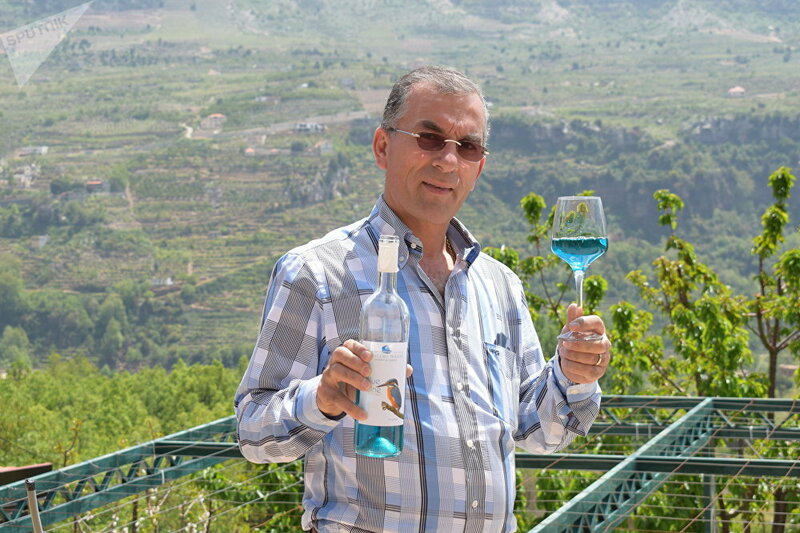 One Lebanese man, however, has launched a product which has no parallel — blue wine. According to wine making enthusiast Piter Abi Unes, the skin of grapes has substances that give off seven colors, blue being among them. This color is produced by a substance called Anthocyan and it is contained in black grapes. “If you add this substance to the wine from white grapes, you get a blue wine. I make dry blue and dessert wine. So you can choose according to your taste,” Unes said. 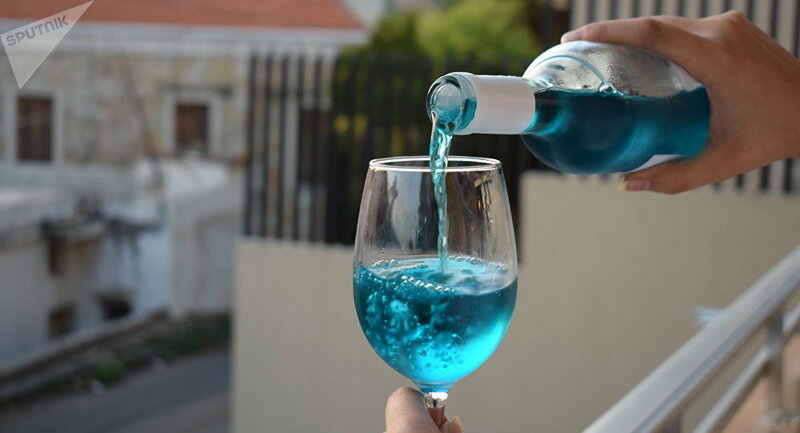 The entrepreneur further said that he purposely lowered the price of blue wine so that it would be less costly than the imported wines in Lebanon. Currently, his winery produces 10,000 bottles a year, with each passing year production increases as the demand rises. According to him, he was able to deduce the necessary formula thanks to his medical education, good knowledge of chemistry and a three-year study of the subtleties of winemaking. He brought all his grape saplings from Italy and has over 2,000 plants of just Pinot Noir grapes. The vineyard is located at an altitude of 1,300 m above sea level in the very picturesque mountainous part of Lebanon. “I became a winemaker in 2012. Every three months a specialist from France comes to me, who gives valuable advice and supervises my work. The idea for blue wine I took from Spain. In general, I experiment a lot,” Unes told Sputnik. Now he plans to launch non-alcoholic beer made from apples, as it can be exported to the countries of the Persian Gulf where alcohol is forbidden. 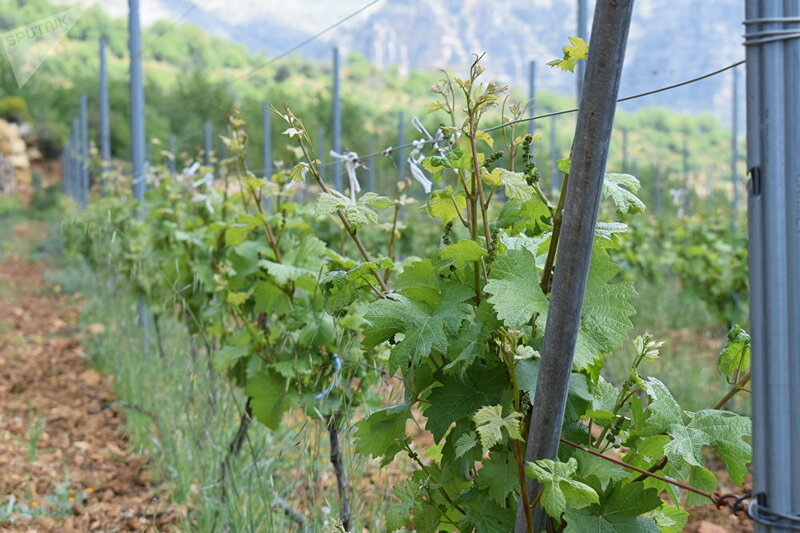 “This summer we will send our first batch of wine to Italy. Plans are to start the production of blue champagne as everything for that is ready,” the winemaker concluded. Feeling Rusty: Can Alcohol Be Seen as Heavy Addictive Drug?